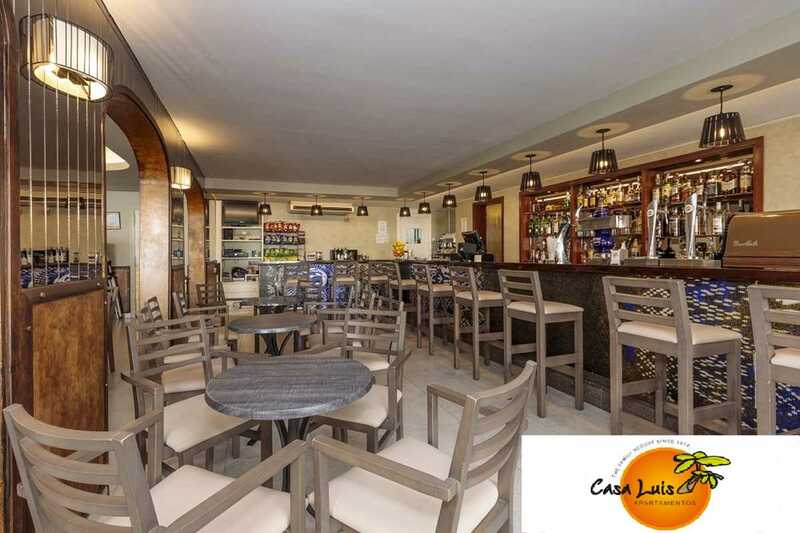 Casa Luis restaurants offer an appetizing and delicious variety of culinary choices that meet the needs of our guests. Whether breakfast, lunch or dinner, our wide variety of dishes and specialties leaves no one disappointed. There’s also a children’s menu so you don’t have to worry about what they will eat. 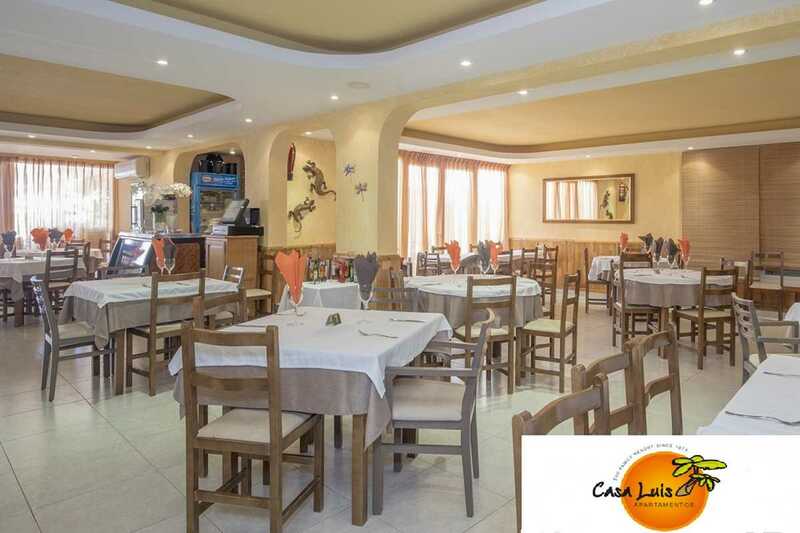 “The Garden” restaurant situated next to the main pool is our ultimate dining place so you can fully enjoy the nights at Casa Luis. 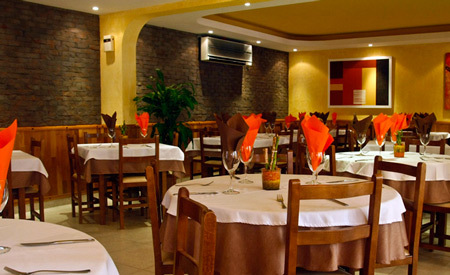 Excellent meat and fish dishes, paellas and Italian pastas and pizzas. 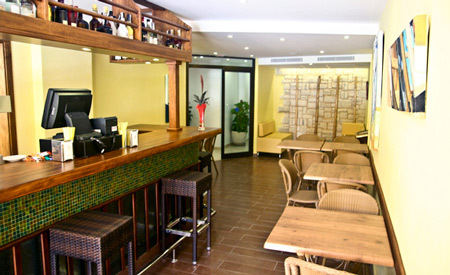 A perfect everyday spot for our clients and where you can try some of the specialties of Spanish cuisine. There’s also a daily 4-course set menu at a great price. Opening hours: Every day from 7.00 pm to 10.30 pm. During the daytime the best choice is the “Terrace Bar” which offers a wide variety of snacks and dishes such as burgers, sandwiches, pastas, salads, pizzas and specialties such as chicken curry and grilled meat dishes. 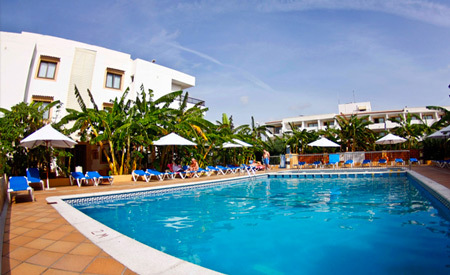 You can also find a great range of beers, wines, spirits and cocktails which you can enjoy on hot summer days next to the swimming pool while sunbathing on a comfortable sunbed. At the “Terrace Bar” you can enjoy live sports on a 52″ plasma screen and two other LCD screen TVs show daily the most important broadcasts and best films. Be sure to take advantage of our promotions on drinks. We have a non-smoking area and Wi-Fi available. When we talk about relaxing, enjoying music, reading and unwinding, “Green Banana Lounge” is the perfect choice. Also for those who need to send emails and surf the web you can use our free Wi-Fi service and enjoy Internet right by the poolside.